Roxy You Are Pretty Velvet Camisole $35 Free US shipping AND returns! 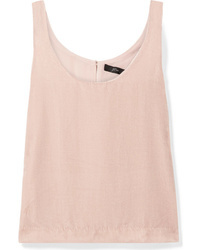 Madewell Whisper Cotton V Neck Tank $18 Free US shipping AND returns! Honeydew Intimates Honeydew Racerback Tank $28 Free US shipping AND returns! 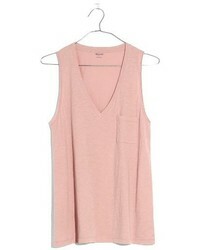 Nic+Zoe Perfect Scoop Neck Tank $58 Free US shipping AND returns! No Brand Double V Swing Camisole $22 Free US shipping AND returns! 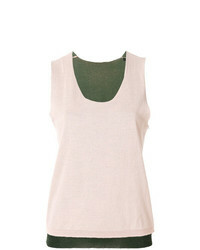 Forte Forte Chest Pocket Tank Top $186 $465 Free US Shipping! Victoria Victori... 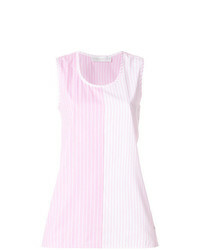 Contrast Stripe Panelled Vest $160 $229 Free US Shipping! 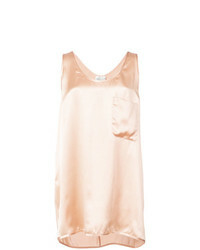 Maison Margiela Sleeveless Jersey Body $305 Free US Shipping! Adam Lippes Knot Back Tank Top $471 $1,567 Free US Shipping!